Elizabeth Chadwick never disappoints and she is one of my auto-buy authors for now several years. If you never read anything by her, rush to the nearby book store and buy one of her book. She's amazing! To Defy a King brings us back to the Marshal family and tells us the story of William's elder daughter, Mahelt, and her husband Hugh Bigod. Historical fiction at its best! After reading a few books by Heyer, I was ready to give up on her after two bad experiences. The Devil's Cub was the book of the reconciliation. I couldn't stop laughing during the all story, the dialogues are incredibly funny and each scene is a delight. This is the perfect comfort read! Until today I'm still wondering why it took me so many years to read this book. I should ignore those misleading 70's covers who made me stay away from one of my now favourite historical fiction books. The relationship between the h/h was perfectly balanced with the captivating historical background. The second book in The Roselynde Chronicles and definitely my favourite. How to explain the wonderful Ian de Vipont?! Loved every phrase, every scenes and I know I'll reread it as much as I can until I die. Don't run away because of the cover (at least the old ones), this isn't a bodice ripper at all. I cannot recommend this one often enough! One of the best discoveries this year, thanks to our Anya Seton Season we had earlier in June. The love story of Katherine and John de Gaunt is still haunting me after all these months. This was such an unexpected adventure, I wasn't sure I was going to like it. I was right, I didn't like it, I loved it to pieces. Kearsley's The Winter Sea was in my last year's Best of and, without surprise, here she is again with another extraordinary story. Again, timeslip novels weren't my thing at all, I normally avoid them. Susanna Kearsley has a real gift to create heart warming characters that stay with you months after reading her stories. Can't wait to read her entire backlist! 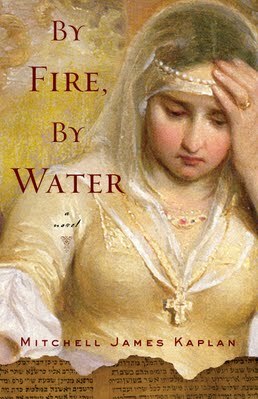 Catherine Delors showed me how a good writer can make me read and enjoy a story set in a historical period that I don't really care for. I had some troubles warming up to the main character in the beginning, but despite the rocky start I became totally enraptured. It's also an ode to my city of adoption, Paris, something that touched me and made this book very special to me. I truly hope For the King will be translated to French so I can offer a copy to some of my friends and family. 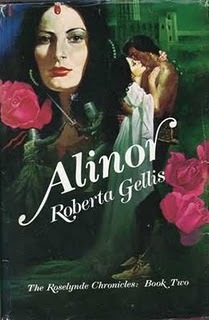 This was a reread of the first book of a famous French series that I intend to keep reading through 2011. I think every French who enjoys history must have read this book once in their lives. It was translated years ago to English, but it seems they are HTF and quite expensive. If you ever find a reasonable priced copy anywhere, don't hesitate and grab it! When I learned that this story was set in 15th century Spain, I knew I had to read it. Luis de Santangel is one of the most fascinating characters I had the chance to “meet” this year. He also make me think more deeply about my own religious and cultural heritage. This was a very emotional and unforgettable adventure. Before reading this book, Madame Tussaud was hardly someone I thought interesting. Christine Trent showed me easily how wrong I was bringing back to live a tough as nails, sometimes irascible but very practical, intelligent and quite warming woman who was the head of a flourishing business that we can still visit today. I just love how this author opens up the door of a all new world in each one of her novels, first dollmaking and now wax figures. I discovered Susanna Kearsley this year. Have you read The Shadowy Horses? That was my introduction and made my short list of best books this year. I've since read Marianna, The Winter Sea, and Named of the Dragon. All good! I really liked For the King too. We share many favorites! 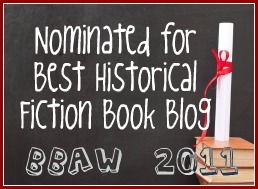 I nominated Devil's Cub (hilarious), Mariana, The Winter Sea, and an Elizabeth Chadwick as my top picks, too! I just discovered Susanna Kearsley this year and she's one of my new fav authors. Can't wait for her new release, The Rose Garden, here in the US in the fall! 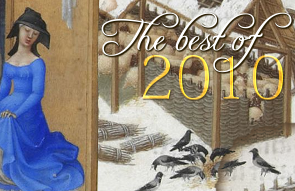 I love how many people discovered Susanna Kearsley this year! We have some common ground in our list Alex! Lori, I loved the Shadowy Horses! It's also one of my best reads this year. Beth, I'm also quite excited about Catherine Delors next book. It seems she is writing a prequel of Mistress of the Revolution, something about the Beast of Gévaudan. Can't wait! Joanne, I'm quite curious about The Rose Garden as well. Only a few months to wait! To Defy a King doesn't come out until March here in North America. I just received a review copy. I'm very excited!! Katherine, For the King, By Fire, By Water, and A Royal Likeness are all on my TBR.